Maintaining your luxury vehicle means bringing it in for routine maintenance. Luckily, when you choose Rallye Acura for service, you can use our auto repair specials. Whether you need new tires or brake service, you’re sure to find something for you in our rotating service specials. So next time you bring your Acura in for service, you can be sure that you aren’t overspending on routine service procedures. Be sure to check out our brake service specials and more online before making your way from Manhasset to our service department! Our experienced technicians will be standing by to get you and your Acura back on the road as quickly as possible. Schedule service today. Always performed using Acura OEM Parts! Make sure your Acura is running at peak performance! Includes tire balance, alignment check, multi-point inspection, and complete brake system inspection. May not be combined with existing VIP discounts or previous repairs. Cannot be combined with any other offers or coupons. Coupon must be presented at time of write up. 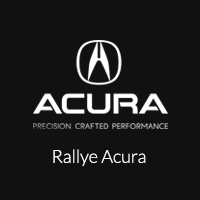 Valid only at Rallye Acura. Acura OEM parts. For most models. Coupons must be presented at time of write up. Not applicable to previous repairs. Acura OEM fluids/parts. See dealer for complete details. With the current Government shutdown, The Rallye Motor Company will be offering 15% Off Service & Parts for Government Employees with valid ID. Must show a valid Government Employee ID. Please present coupon at time of write-up. Coupons cannot be combined with any other offer or special and cannot be applied to previous purchases. Maximum savings of $500. See dealer for details.